Our pita is made fresh daily in front of our customers. First the dough is mixed in our industrial mixer. Then the dough is cut into smaller balls using our press. The dough balls are then proofed in pine wood boxes for several hours. The dough is now ready to be flattened and baked on the conveyer belt oven. Our fatayers are a unique Middle Eastern delicacy. The dough is made fresh every morning with certified-organic, local and kosher flour from Lindley Mills (Graham, NC). 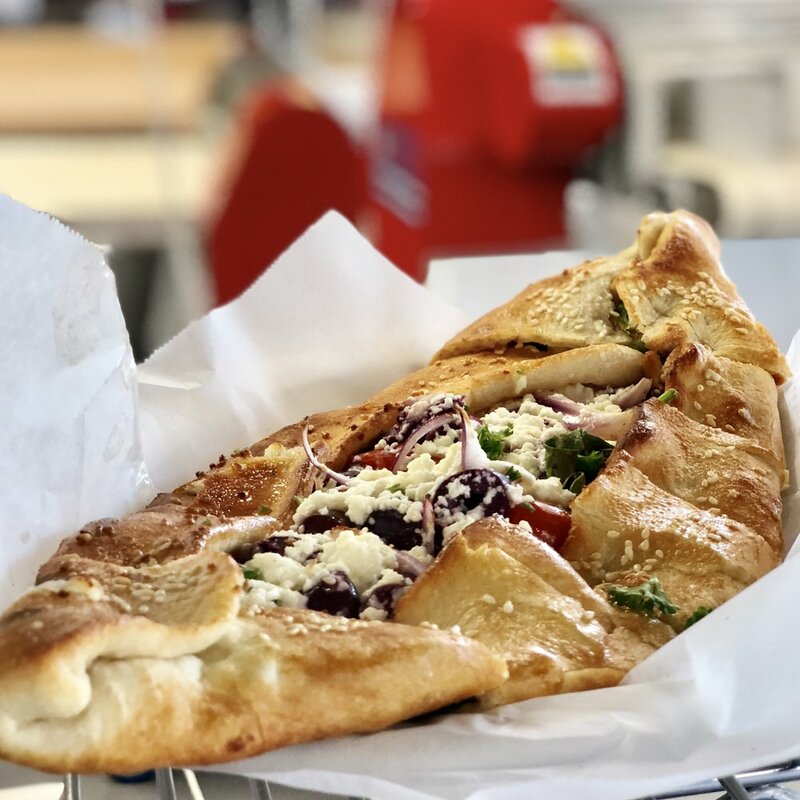 We offer several types of fatayers, each filled with unique toppings like fresh vegetables, Middle Eastern cheeses, soujouck - a spicy turkish sausage, or zataar. All fatayers are made to order and baked in our specialized pizza ovens. We also offer gluten free dough upon request.